I was just saying that I hope Mike Tyson lives to be 100, because I'm really curious about how he'll look. 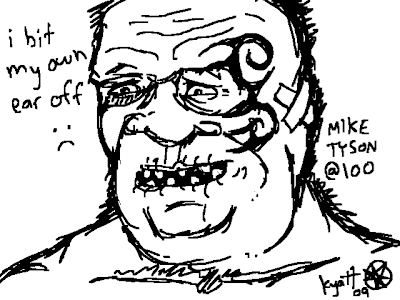 Somehow, unsilentwill baited me into an MS Paint-off to draw what he'd look like. His drawing, which is at least as awesome, can be seen here.